What am I doing wrong with Google and SSL Inspector? 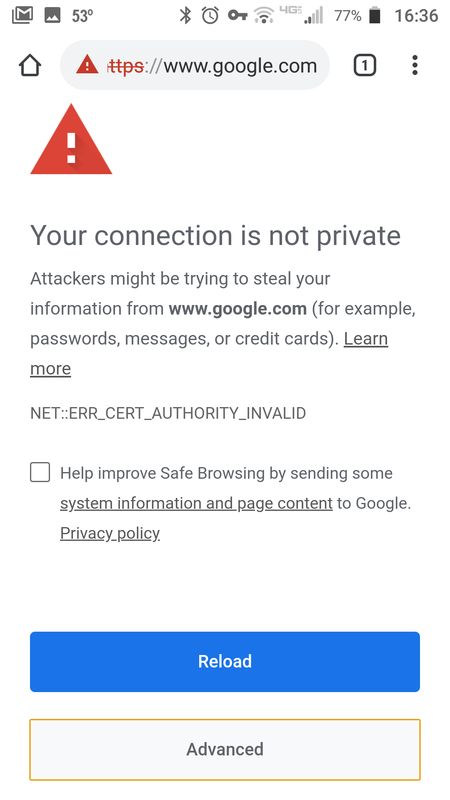 Thread: What am I doing wrong with Google and SSL Inspector? 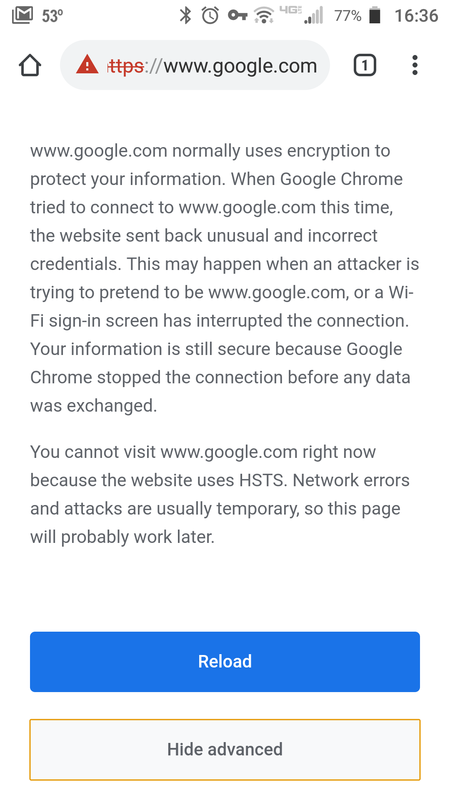 I created a new Server Certificate that includes all of my internal networks and it all seems to work as intended (ie Bing is fine), however, Google always gives me a HSTS error and won't let me go to Google. I've tried to follow all of the tutorials but I must be missing something. I'm using the base install of SSL Inspector and merely turned it on. That means its not trusting the CA. Either its not installed correctly, or the cert is pinned. Probably depends on your version of android and what app/browser you are using. So it appears to work in IE11 on my Win7 machine if I ignore the certificate error but in Chrome I can't go to anything Google related. Both IE11 and Chrome are fine with the certificate for Bing though. The phones were using Chrome and Android 7.1.2 just for reference. ETA: Chrome on the PC gives the same error as the phones do. 1. Open Chrome, enter 'chrome://settings' in the address bar. 4. Select 'Trusted Root Certification Authorities,' and click 'Import' - select the certificate you generated. 5. 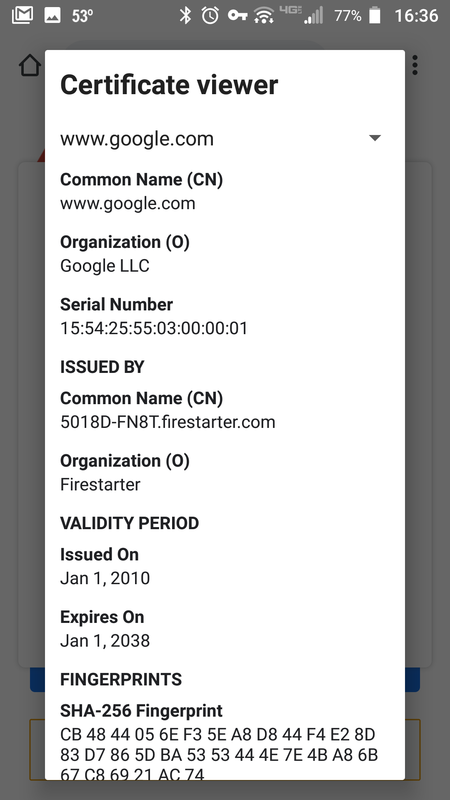 Verify the certificate appears in the "Trusted Root Certification Authorities" tab. No clue how to do it on Android - I'm not a Chrome user. Instructions adapted from Securly Support Article. Hope that helps - I had to do something similar (manually import my certificate into FireFox, and trust it to authenticate websites).